Home / Blog / news / What Exactly is #VOMITSTEP? There is a lot to say on the subject of Vomitstep, what it means, how it was created and why?! His family knows him as Fred but we all know him as Snails, one of the most interesting producers we have seen emerge into the bass music scene recently. Creating a unique style of hip-hop, trap, dubstep and electro, his creatively engineered sounds have been recognized by many artist such as Diplo, Skrillex and Boys Noize. Snails has somehow managed to control and command those strange sounds and create a pretty awesome genre, if we do say so ourselves. It’s definitely safe to say that we are all in for one heck of a night with this guy when he hits Venue 578 on his Snailin’ USA Tour on March 20th. Grab your tickets here if you haven’t already, and do it soon because there’s no way you can miss these insane beats and unique dubstep style! 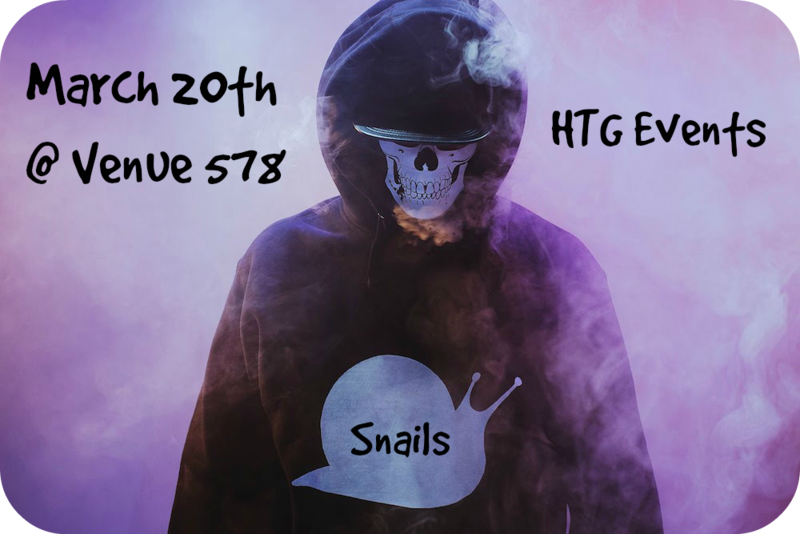 Don’t miss Snails Orlando. Snails recently dropped his SNAILEDIT! Mix Volume 2 “Welcome to Slugz City” and it might just be in your best interest if you checked it out below.